Poplar Healthcare » Susan T. Williams, M.D. Dr. Williams received her medical degree from Southern Illinois University School of Medicine. Her residency in pathology was completed at the University of Tennessee in Memphis. Following her residency, Dr. Williams completed a one-year fellowship in gastrointestinal and liver pathology at GI Pathology in 1998 and became staff member in 1999. Dr. Williams served as the medical director of GI Pathology for over five years and has participated in numerous clinical trials. Dr. Williams is a member of the American Gastroenterological Association and the U.S. and Canadian Academy of Pathology, and is recognized as a fellow of the American Society Clinical Pathologists and the College of American Pathologists. 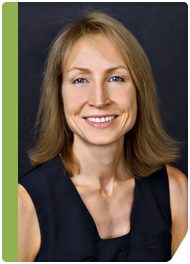 She has over twelve years of experience in gastrointestinal pathology.